Next up in Q&A with an ecologist is Professor Lesley Hughes. 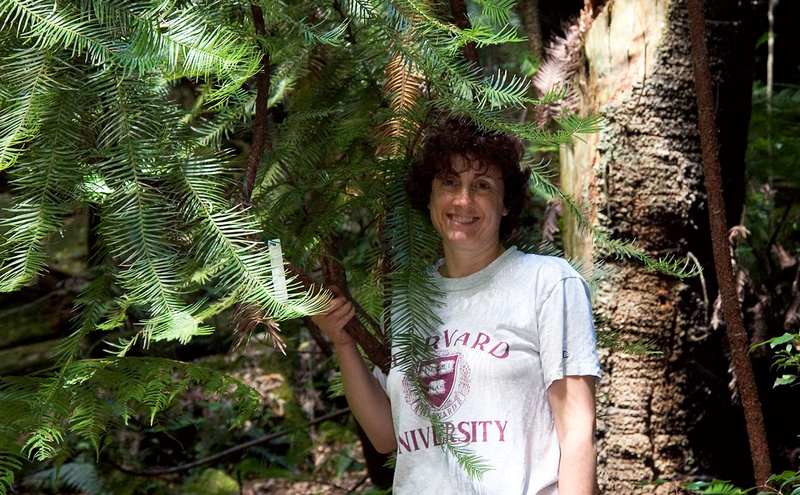 Lesley is best known for her work examining the impacts of climate change on biodiversity and ecosystems and is a member of the Climate Council. Did you know Lesley has a strong affinity with wombats? I didn’t, read on! I started out as an animal lover and keen natural historian. I just wanted to watch animals behaving. Somehow this morphed into community ecology once I got to university. The unbearable thought that climate change is going to wipe out so many species on the planet, and the hope that I can do something to save them. Saying yes when asked to be a Climate Commissioner. It took a huge amount of time but was also great fun. The Commission is now dead, long live the Climate Council! Wombats. I don’t study them but I used to have a pet one, they are extremely intelligent and have fantastic personalities. I also really like weevils because they’ve got such cute faces. I love rainforests (but just to look at, too uncomfortable to actually work in them), but will always have the softest spot for dry sclerophyll woodlands. How quickly and sensitively many plants and animals have responded to fairly modest global warming thus far. I really hope that ecologists gets serious about climate change; not just as a ‘hook’ to try and get funded or published, but because it threatens our very existence. Follow your passion (well I would say that, wouldn’t I? ), but be prepared to take some chances and follow intriguing opportunities (see my ‘best mistake’, above). See my answer to the next ‘big thing’, above. Can’t beat a really good sandwich and a thermos of strong espressso. This paper, written nearly 30 years ago, set out the implications of climate change for conservation. If policy makers had taken sufficient notice of this paper back then we would be in much better shape now. My PhD fieldwork involved following ants around the bush; I used to attract them by putting out lines of tuna. Let’s just say that goannas really like tuna. Epidemiology always interested me, but I’m not good enough at stats. The economics of developing countries also always intrigued me. But sometimes I think that life would have simpler if I’d been a hairdresser. I live in Sydney, am completely uninterested in sport, and don’t care. Sorry! This entry was posted in Q&A with an ecologist and tagged Q&A with an ecologist on 27 January 2014 by Euan Ritchie.